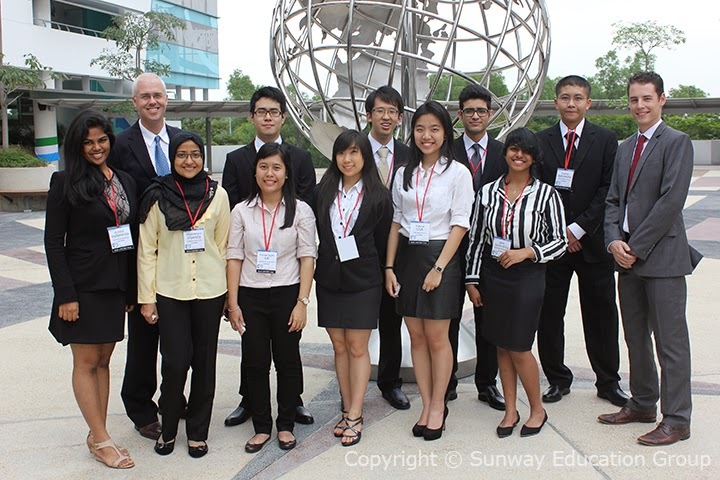 Students from Sunway International School (SIS) and the Canadian International Matriculation Program (CIMP) recently attended their very first Model United Nations (MUN) Conference in Singapore. A total of ten students attended as delegates, four from SIS and six from CIMP. The students were accompanied by Heath Kondro, Communications Technology lecturer with CIMP and Brendan Narancsik, Dramatic Arts and History teacher with SIS. The three-day conference, the first hosted by United World College, South East Asia-East Campus saw the participation of two hundred and forty delegates from eight schools around the region. For the first two days of the conference, delegates were grouped into their different committees which addressed a wide array of issues related to Disarmament, the Economic and Social Council (ECOSOC), Human Rights, Politics, the World Health Organisation (WHO) and the Security Council. On the third and last day of the conference, all delegates were grouped according to the country they represented for the simulated General Assembly. This provided an opportunity for them to work together with other delegates from different committees. At the recent Cambridge International Examinations (CIE) Outstanding Cambridge Learner Awards (OCLA) ceremony, nine Sunway A-Level students were awarded certificates for their excellent performance in the June 2013 Cambridge examination series. 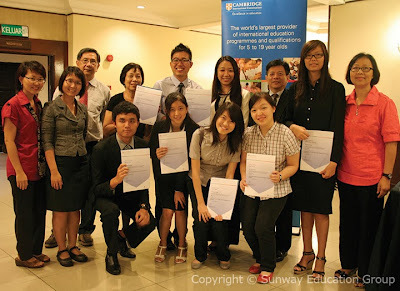 Students from Sunway College who received the Top in the World Award for CIE AS level were; Daphne Ngan Hwee Ern for Accounting, Ang Eer Yin, Ho Shi Ying, Kuan Wei Jee, Loh Khang Yee and Tan Tee Toon for Mathematics while Leong Wei Cheng and Dawn Soon Lyn Hui from Sunway College Johor Bahru each received the Top in Malaysia Award for General Paper.